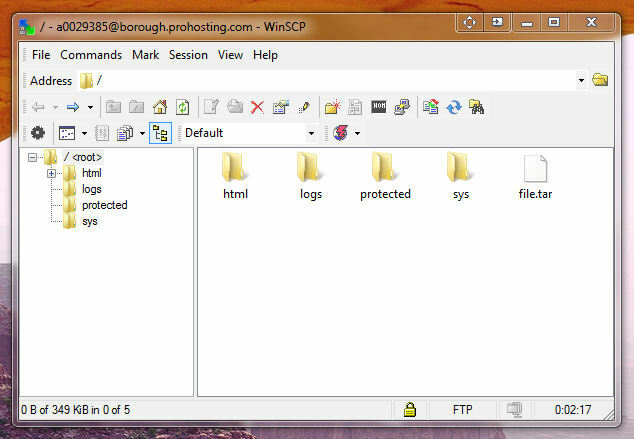 1) Download the applicable version of WinSCP (a free download) by visiting the WinSCP website . 2) Install WinSCP. You will have some customization options (interface, shortcuts, etc). Choose by preference. 3) Launch WinSCP. You will get the WinSCP Login Screen. Click New. 4) Enter your login information (your domain, account or other ftp user, password). 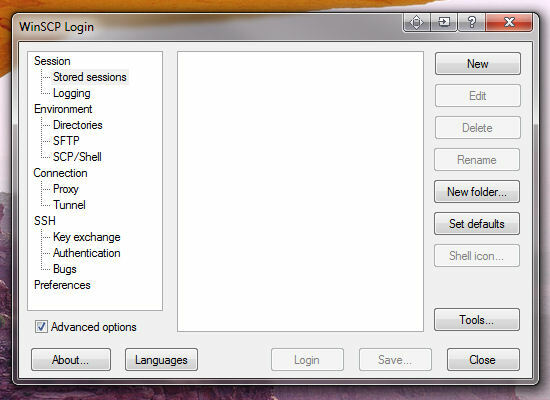 WinSCP defaults to SFTP protocol. Change to FTP and TLS Explicit encryption. If you want to store this session in WinSCP, click "Save..." Then click LOGIN to connect to the server. 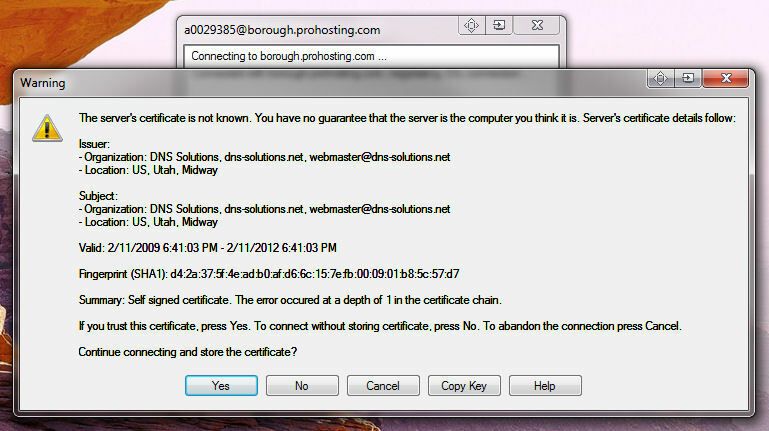 5) As you login for the first time, you may be prompted concerning the server certificate. You have a few options. Choose by preference. You will avoid this window next time if you store the certificate. 6) Once logged in, you can access the folders on your server. Typically, you will be using only the "html" folder to store files accessible through the web. For convenience, you can open the HTML folder, then click "session" in the menu, then "Save Session". 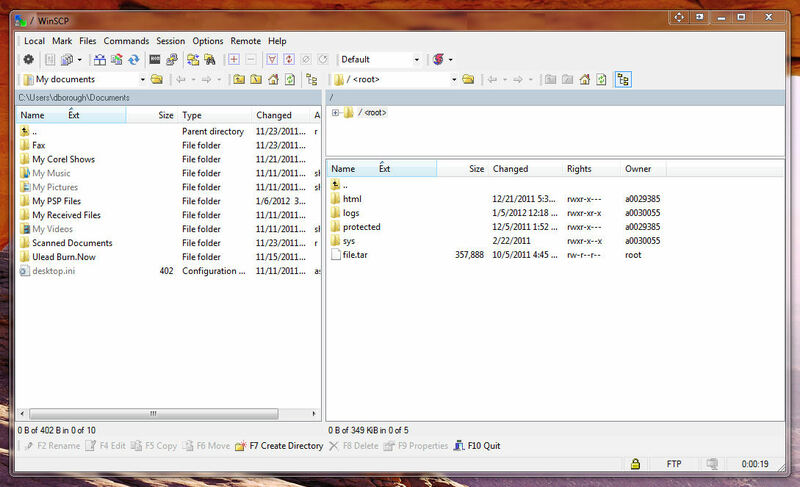 This will reopen WinSCP to the same folder next time you login.